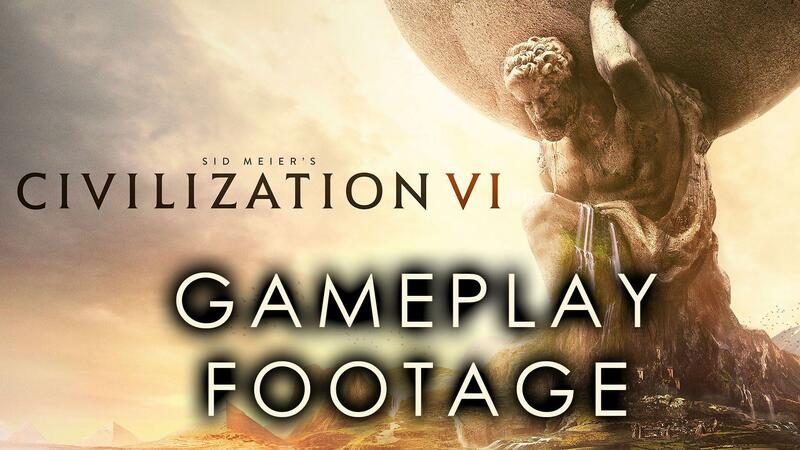 Civilization VI was announced recently and it was officially confirmed that it's going to come to Linux, we now have some gameplay to show you. Note: These are not our videos. I really do love the new visual style! I am fully expecting the Linux version to be a delayed release, so don't go buying it right now. The new visual style is terrible. I understand the reasoning for it but they really could go with the improvement of Civ 5 style. I don't buy that comics graphics. They should also make it more keyboard-centric thus also steam controller playable for example. I hate mouse clicking on some areas of screen when such an action doesn't really need a mouse. I don't get this obsession with cartoon art in the gaming industry either. I hate cartoon art and in my opinion, the only place for cartoon art is a cartoon. It's just a complete mismatch for a "serious" game like Civ. Sorry if this sounds mean, but if a game uses cartoon art I automatically assume their artists weren't talented enough to draw realistic art. The other thing I am fairly concerned about is cities occupying more tiles. It sounds like a great idea at first, but when thinking of scale, even one-tile cities are fairly large on a map that's supposed to represent an entire planet. I assume it will take a really large empire to even accommodate more than a handful of cities in its territory now? I also don't like how they say that no longer able to create cities hosting pretty much all of a nation's wonders would be somehow a good thing. Again, it's not realistic. If you look at e.g. France or England, they have one city hosting pretty much all of the nation's landmarks (Paris and London respectively). Russia has two (Moscow and St Petersburg). Italy and Germany aren't quite as extreme, but their capitals still host more "wonders" then the rest of their cities combined. Concentration of culture is actually fairly normal at least in countries having more cultural than natural wonders. Kimyrielle If you look at e.g. France or England, they have one city hosting pretty much all of the nation's landmarks (Paris and London respectively). Russia has two (Moscow and St Petersburg). Quote Italy and Germany aren't quite as extreme, but their capitals still host more "wonders" then the rest of their cities combined. What we today call 'Italy' and 'Germany', that were collections of autonomous principalities, kingdoms, etc., until fairly recently. Quote Concentration of culture is actually fairly normal at least in countries having more cultural than natural wonders. I don't quite understand what that means. -- but anyhow these videos (especially the one by 'quill18', and its sequel on YT) are quite informative. I haven't watched them to completion yet, but it was certainly good to hear that the 'vanilla' release will feature advanced religion, trade, culture, etc., that were all missing in V upon release. As to the visual style: The first few screenshots had left me skeptical; but seeing it in motion, I'm quite a bit more sympathetic towards it. What I currently don't really like about the visuals is the clunkiness of the UI (oddly reminiscent both of Civ III, and the later SimCity games); but those will definitely be refined before release. I am loving new style too. kimyrielle Concentration of culture is actually fairly normal at least in countries having more cultural than natural wonders. In North America we have a lot of natural wonders, so ours aren't quite as concentrated in one big city, unlike the European countries I mentioned. It's very hard to move a national park, so they tend to stay scattered across the nation. And yes, it's great that a lot of the former DLC features are now part of the main game, but it's not as big of a deal if you already have Civ V and all its DLCs anyway. Whether I will prefer Civ VI over the full Civ V I already have is still an open question for me. So far I haven't yet seen a "killer feature" that would mark a true leap forward for the franchise. Like Civ V's combat system which was such a huge improvement over the silly "Kill one unit and the entire stack dies" combat of the older games. And the fugly cartoon art is more an argument for me to stay with Civ V, really. For me this new art style could ruin the immersion. Civilization is a complex and serious game, is not a little town mobile game. I can launch nuclear bombs over my foes! I can burn and raze cities! How will this actions look with this cartoon style? Ridiculous, like a bad joke. It looks like childish mobile games do imho -- certainly not the semi-realistic theme like in Civ V which I loved. These new graphics look really great! 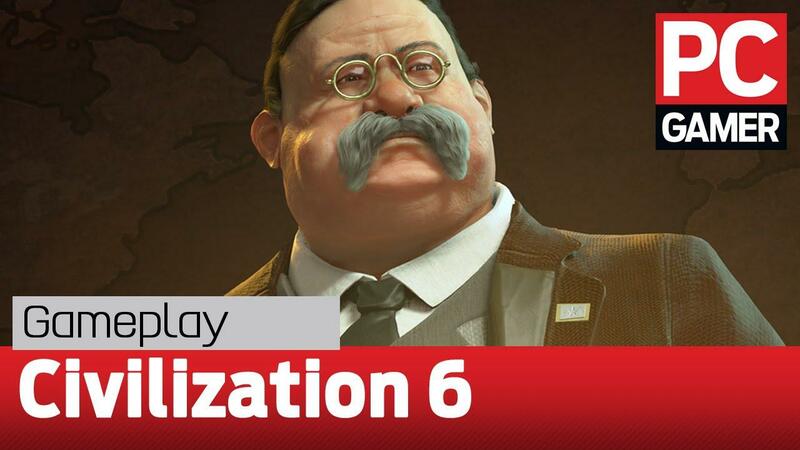 Too bad I don’t like Civilization (at least Civ 5). I don't care for the new visual style, either. There's a natural art evolution from Civ 1 to Civ 5. Then we get Civ 6 which is a significant step backwards in my opinion. My theory is that Firaxis has their eye on the console/mobile market and is creating a look that will appeal to casual gamers. My concern is that the gameplay will follow suit.